I was about to buy momendofu (firm tofu) for this one plate dish when a pack of smoked tofu attracted my sight and I ended up with it. All the way back home I was wondering when I had smoked tofu last and how it was, but I couldn't really reacall. Probably in a vegan preparation back in France, but I wasn't even sure. 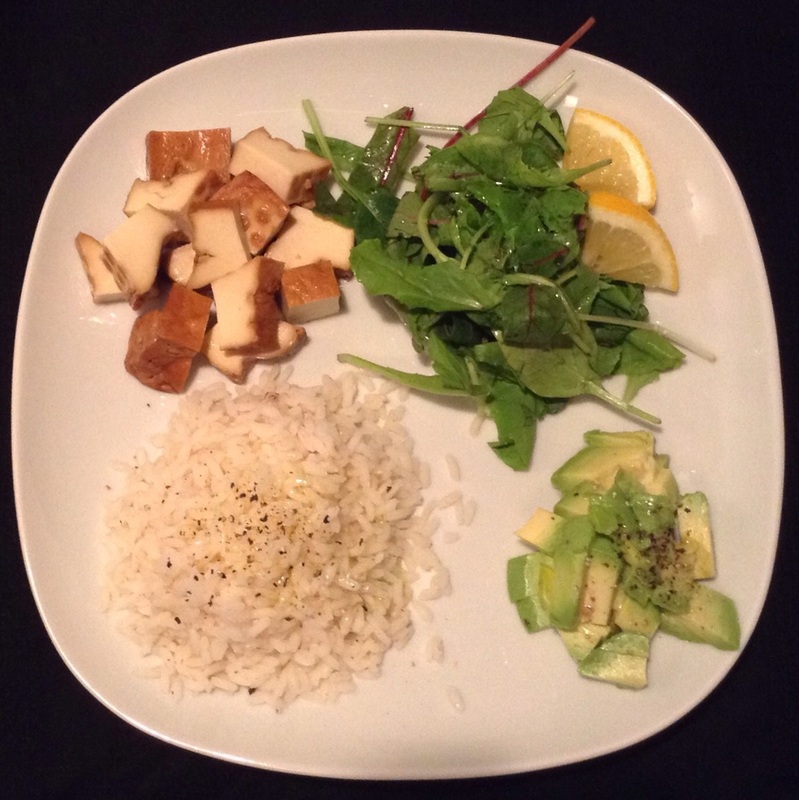 Since I had in mind a one-plate with half-brown rice from Camargue, avocado and salad, I decided that I would just dice it and add it to the plate. Well, it was a nice combination, smoked tofu has a very strong and particular cheesy taste which suited well the other ingredients. I still think it would suit better smaller quantities or different preparations. Fresh tofu in Japan is so delicious that the smoke version doesn't make too much sense I felt. What are your recipes with smoked tofu?